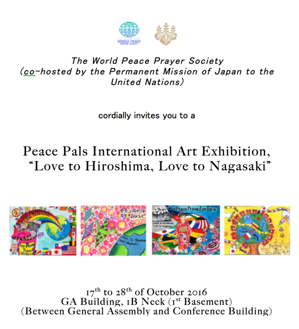 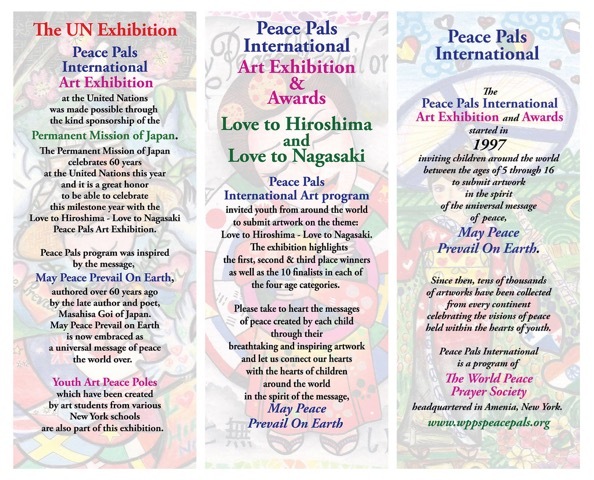 A Peace Pals Art Exhibition was hosted in the lobby of the United Nations Headquarters in New York between October 17th thought the 29th. 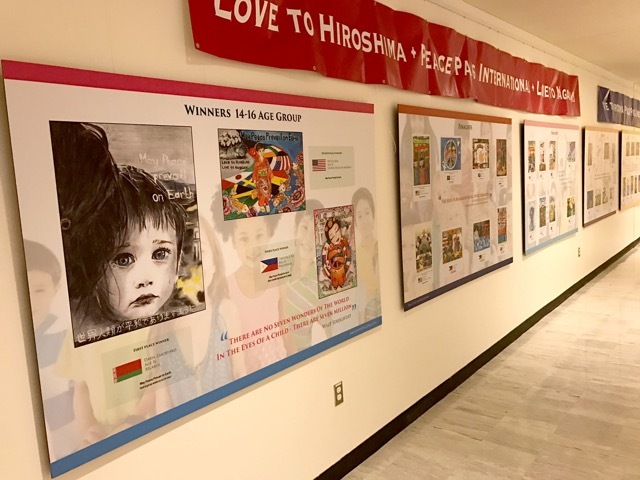 The exhibition was made possible through the kind sponsorship of the Japan Mission highlighting the theme, Love to Hiroshima Love to Nagasaki. 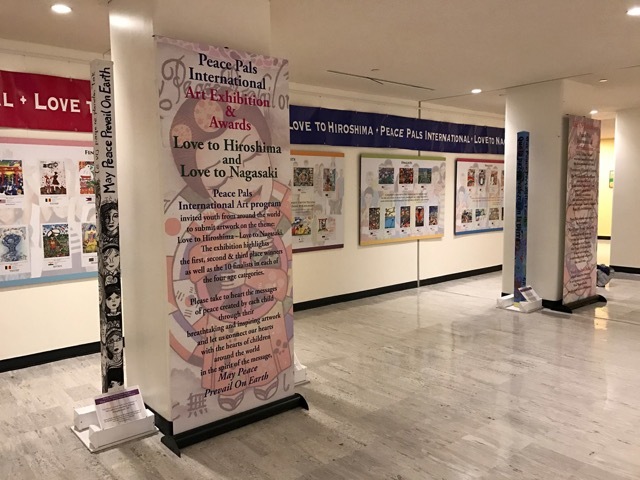 The Exhibition auspiciously coincided with the meetings of the first committee on disarmament held at the UN and the 2016 Week of Spirituality.